you would make a spreadsheet for a vacation! 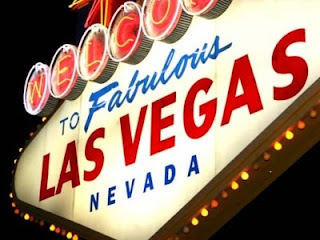 I'm not going to lie, I have pretty much no desire to see Vegas, but I'm still excited for you! C's a keeper, I think. I recommend Olives - it is a restaurant in The Bellagio. Get reservations as early as possible and ask specifically for a table on the deck. The food is ok.. but the deck hangs out over the water where the fountains are. It really is spectacular. Don't eat there if you can't get out on the deck. PS - I found your blog through a friend and read it all the time. I love it! 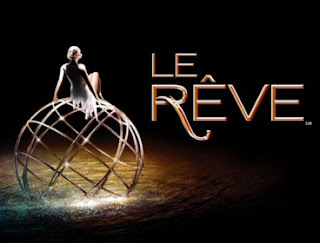 i have seen la reve, and let me tell you it is soooo good. we were in complete awe after it was over. Lofton and I went two years ago and the fountains at night were one of my favorite things. We stayed at the Planet Hollywood and our room faced them. i love vegas! how fun! so many great shows, food and lots of pretty lights! i liked the blue man group (though they are kind of weird and you may prefer some kind of musical thing instead, i still recommend them) i also thought the roller coaster on top of the New York wahtever that hotel is called, was fun! cant wait to hear about more plans, how long are you going for? WOOHOOOO!!!!! Y'all are going to have a BLAST! My favorite part was playing penny slots and getting free drinks the whole time (best part about Vegas! :).. so definitely keep that in mind, haha! And C probably already knows this, but we'd heard the Treasure Island Pirate Show was good so we made sure to wait in the crowd for forever to have a good view... but it was SO not worth the wait. Lots of more fun things to be doing than waiting to see strippers on a boat! All of these are great to know! Any restaurant suggestions are especially welcome. I want to spread it out from cheap to fancy, and in as many different hotels as possible. @Jennifer and Pughs - Welcome and thanks! 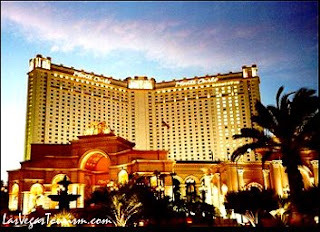 @Elizabeth - Those fountains are on the very top of my list! @Lauren - 4 nights, I think. The original hotel package had a 2-for-1 for a bunch of stuff, including that roller coaster, but we found an even cheaper deal without it. @Caylen - tell me more about these penny slots and free drinks... maybe you and D drive up for a night? I want to see the Cirque show with music from The Beatles. I think it's called love.